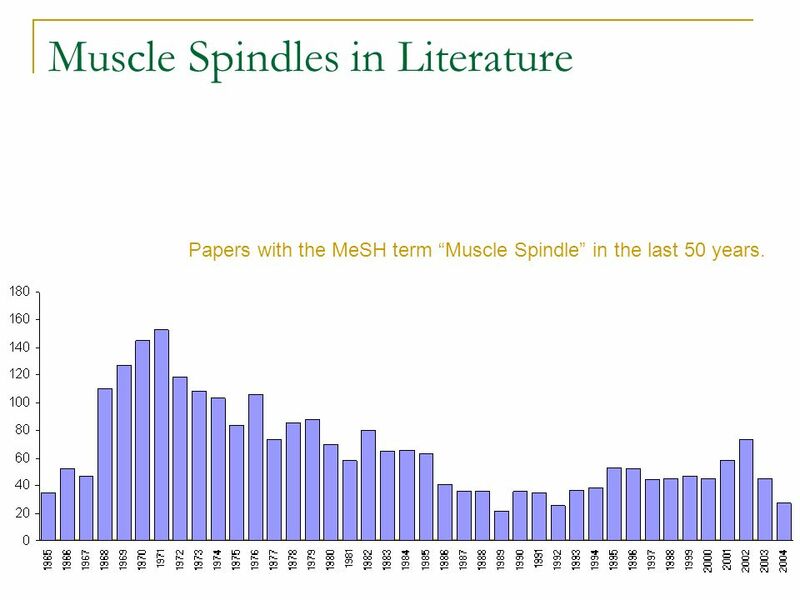 Papers with the MeSH term “Muscle Spindle” in the last 50 years. 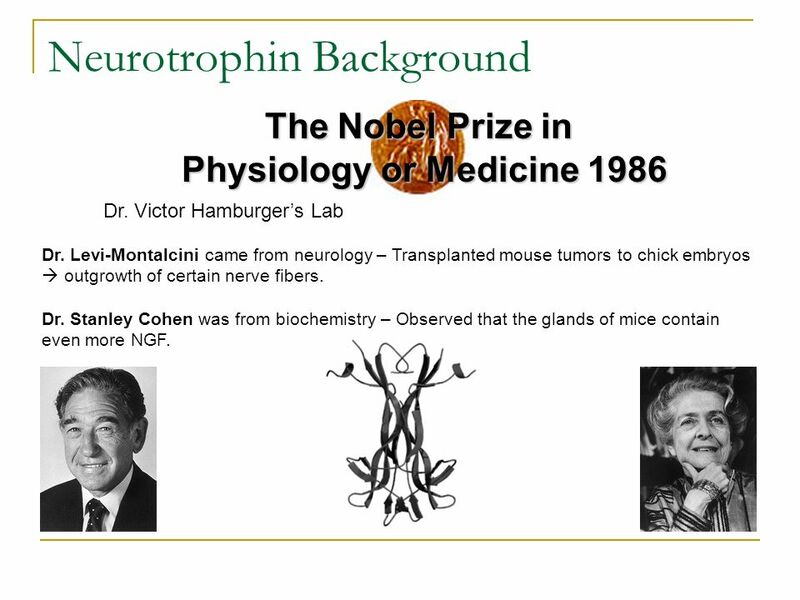 The Nobel Prize in Physiology or Medicine 1986 Dr. Victor Hamburger’s Lab Dr. Levi-Montalcini came from neurology – Transplanted mouse tumors to chick embryos  outgrowth of certain nerve fibers. Dr. Stanley Cohen was from biochemistry – Observed that the glands of mice contain even more NGF. 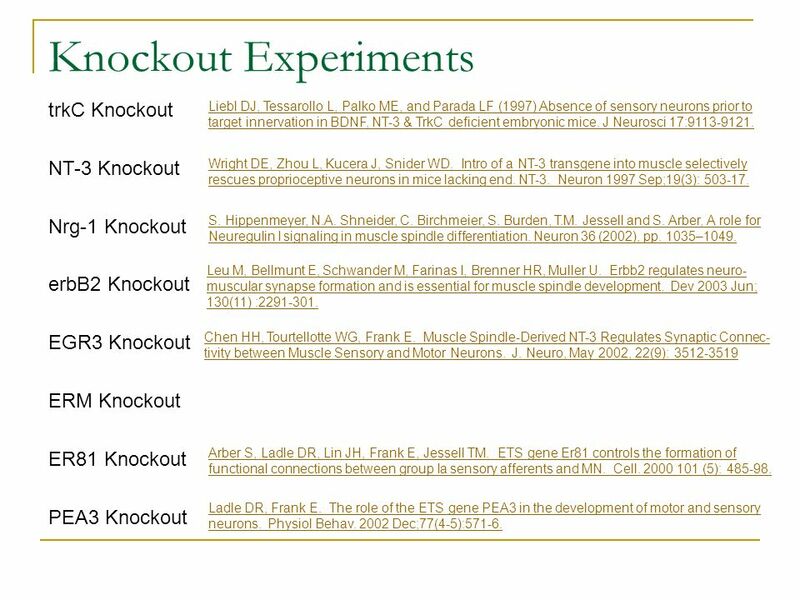 Chen HH, Frank E. Development and specification of muscle sensory neurons. Curr Opin Neurobiol Aug;9(4):405-9. S. Hippenmeyer, N.A. Shneider, C. Birchmeier, S. Burden, T.M. Jessell and S. Arber, A role for Neuregulin I signaling in muscle spindle differentiation. Neuron 36 (2002), pp. 1035–1049. Quick DC. Acute lesion of the intrafusal muscle of muscle spindles: ultrastructural and electrophysiological consequences. 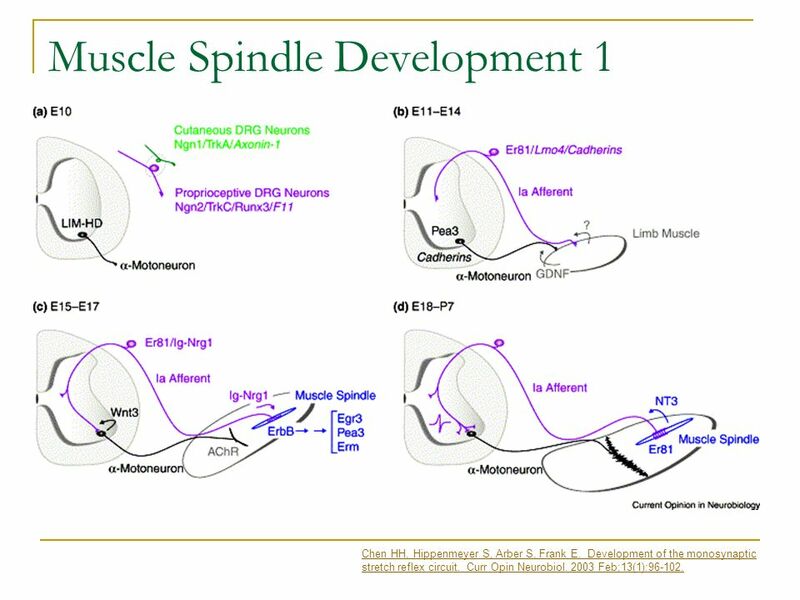 J Neurosci Jul;6(7): Experiments were performed to functionally separate the neural and muscular elements in muscle spindles. Cat muscle spindles were dissected free in vitro and were transected on both sides of the sensory nerve endings  acute lesion of the intrafusal muscle fibers, spared sensory endings. 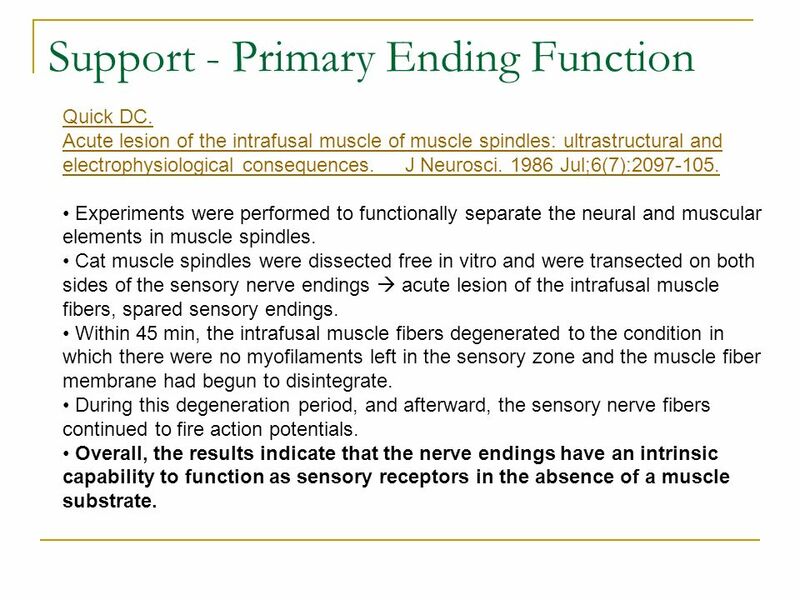 Within 45 min, the intrafusal muscle fibers degenerated to the condition in which there were no myofilaments left in the sensory zone and the muscle fiber membrane had begun to disintegrate. During this degeneration period, and afterward, the sensory nerve fibers continued to fire action potentials. 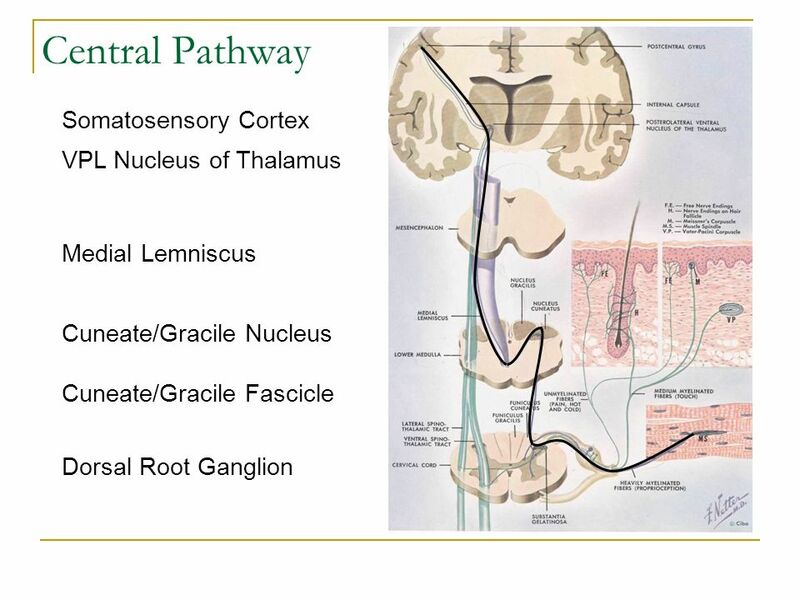 Overall, the results indicate that the nerve endings have an intrinsic capability to function as sensory receptors in the absence of a muscle substrate. Adapter proteins are colored orange, kinases pink, small G proteins green, and transcription factors blue. 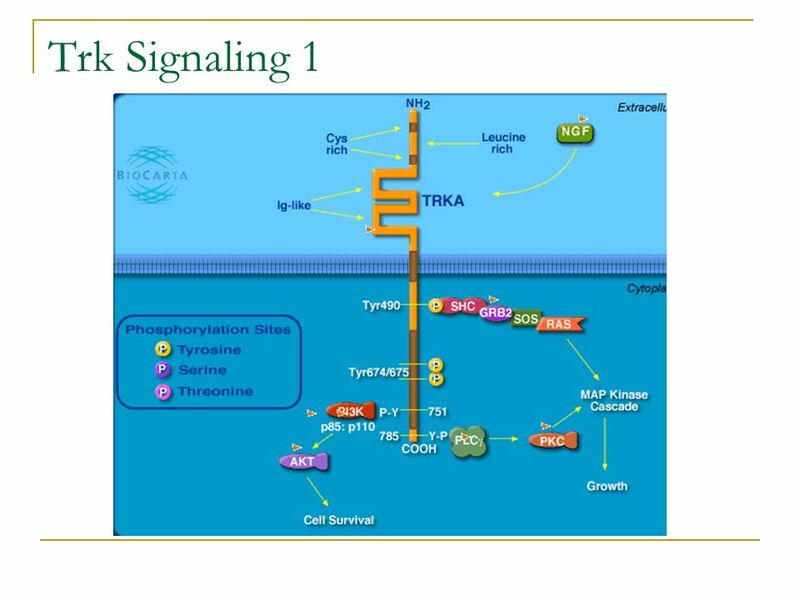 APS, adaptor molecule containing PH and SH2 domains; CHK, Csk homologue kinase; MEK, MAPK/ERK; P, serine/threonine (filled, phosphorylated); SNT, suc-1-associated neurotrophic factor target. erbB2 and erbB4 are enriched in the depths of the secondary junctional folds on the postsynaptic muscle membrane. 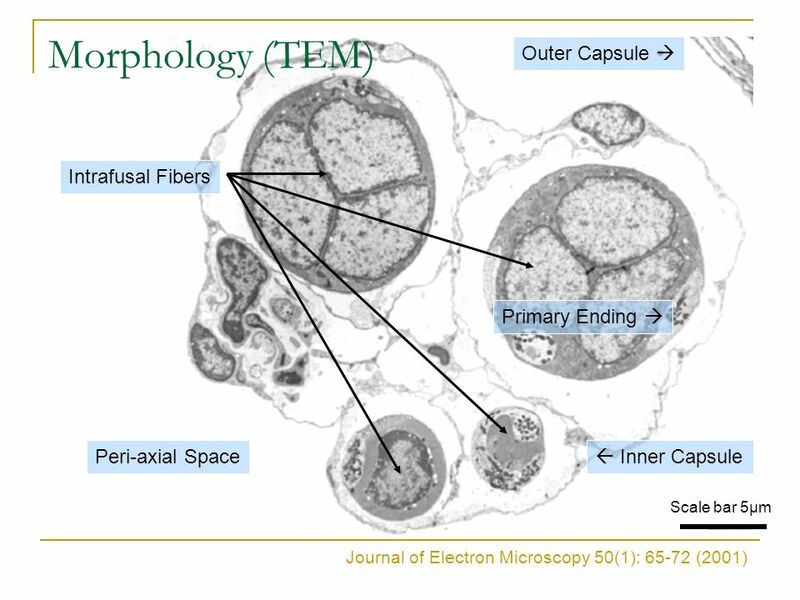 erbB3 at the NMJ was concentrated at presynaptic terminal Schwann cells. 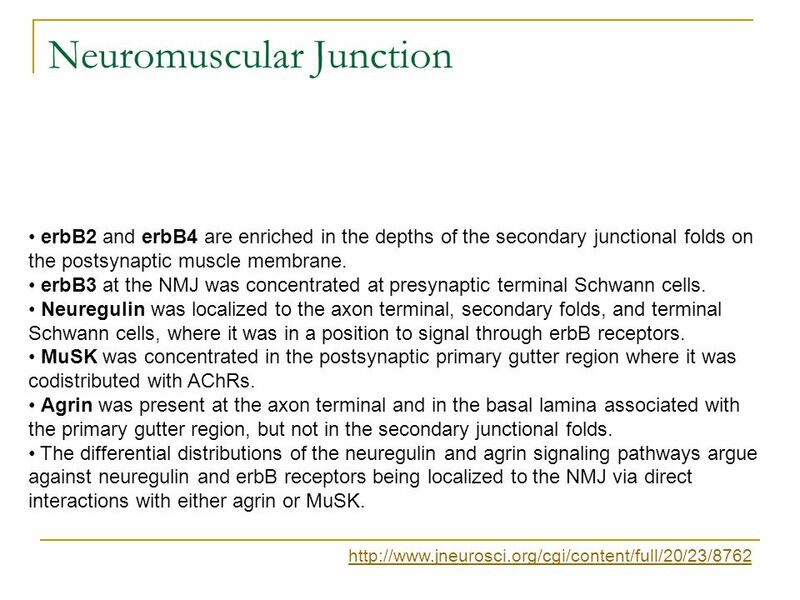 Neuregulin was localized to the axon terminal, secondary folds, and terminal Schwann cells, where it was in a position to signal through erbB receptors. MuSK was concentrated in the postsynaptic primary gutter region where it was codistributed with AChRs. Agrin was present at the axon terminal and in the basal lamina associated with the primary gutter region, but not in the secondary junctional folds. 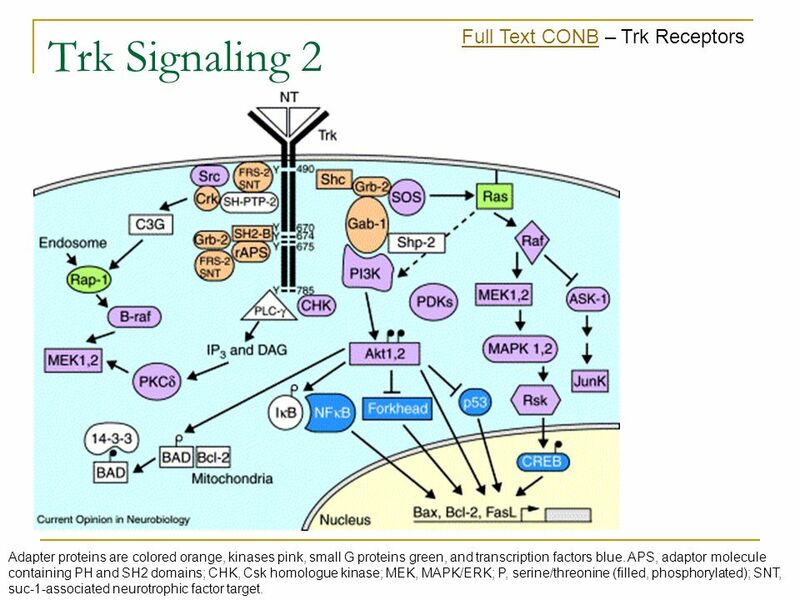 The differential distributions of the neuregulin and agrin signaling pathways argue against neuregulin and erbB receptors being localized to the NMJ via direct interactions with either agrin or MuSK. 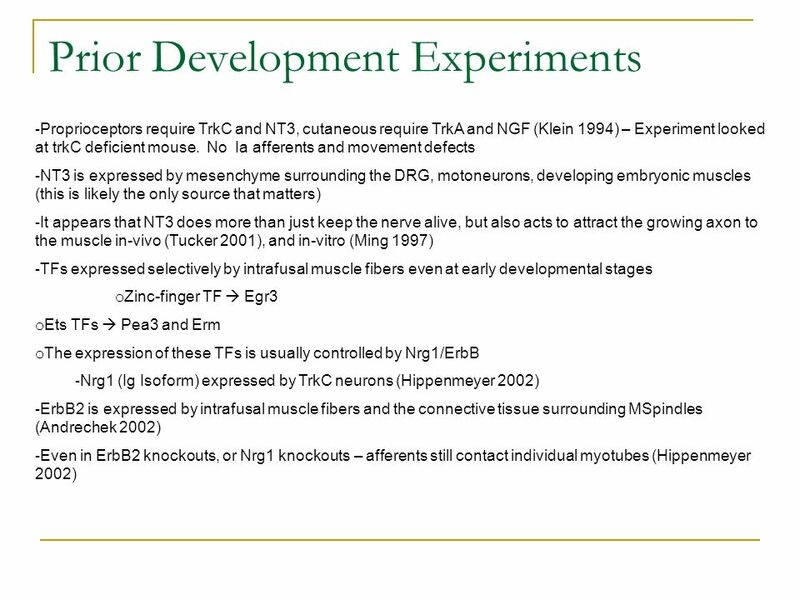 17 Is NT3 sufficient for a muscle spindle afferent to elaborate its endings? 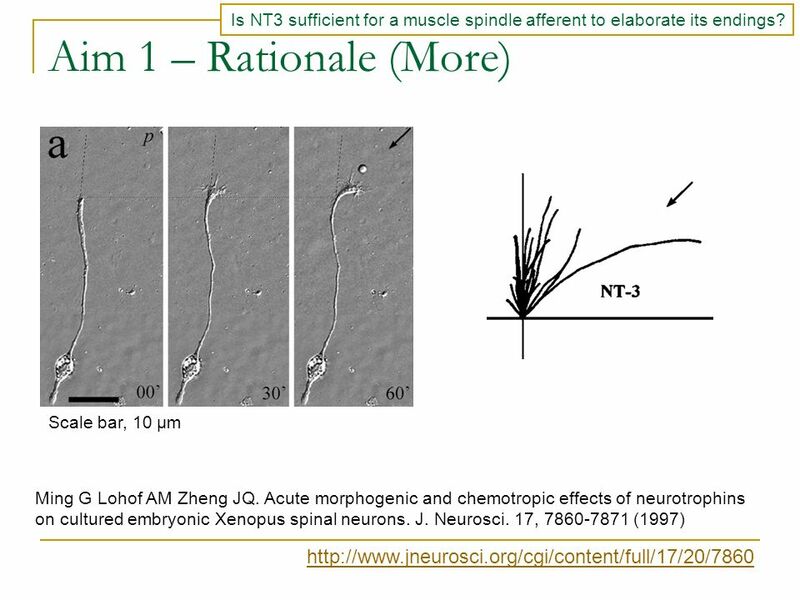 18 Is NT3 sufficient for a muscle spindle afferent to elaborate its endings? 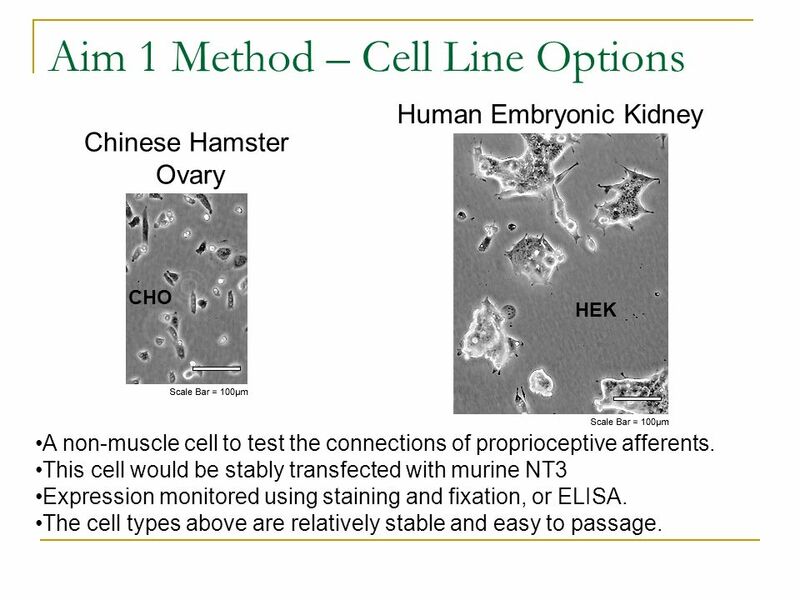 Human Embryonic Kidney Chinese Hamster Ovary HEK CHO A non-muscle cell to test the connections of proprioceptive afferents. This cell would be stably transfected with murine NT3 Expression monitored using staining and fixation, or ELISA. 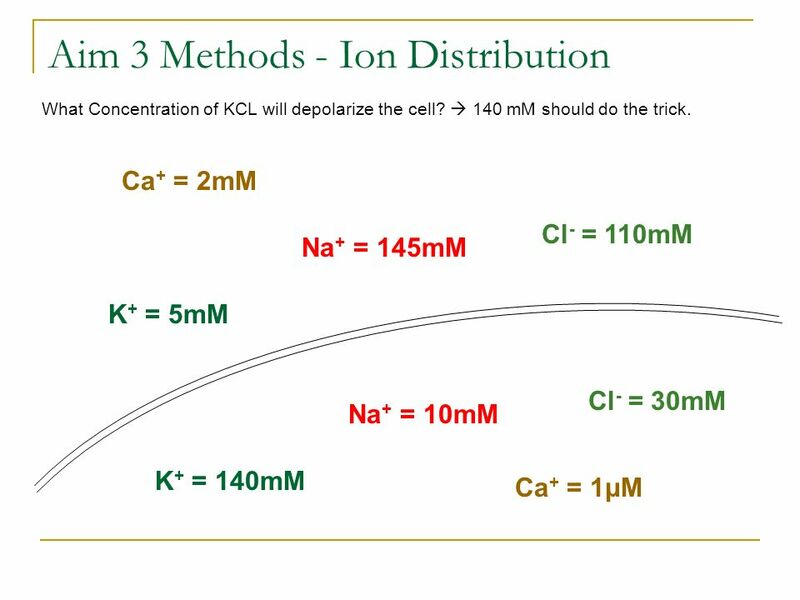 The cell types above are relatively stable and easy to passage. 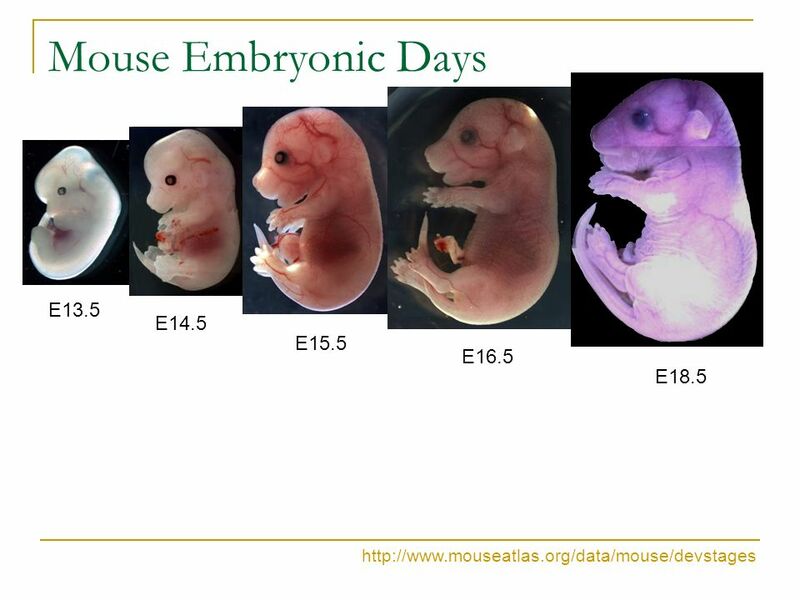 These mice are euthanatized and approximately 10 of their DRGs are removed under a microscope. The DRGs are dissociated with an enzyme cocktail which includes Trypsin, Elastase, DNase, and Collagenase. Dissociated DRGs are then plated at ~100 cells/mm2 in multi-well plates with coverglass on the floor. The cover glasses should be pre-coated with poly-D-lysine and laminin. 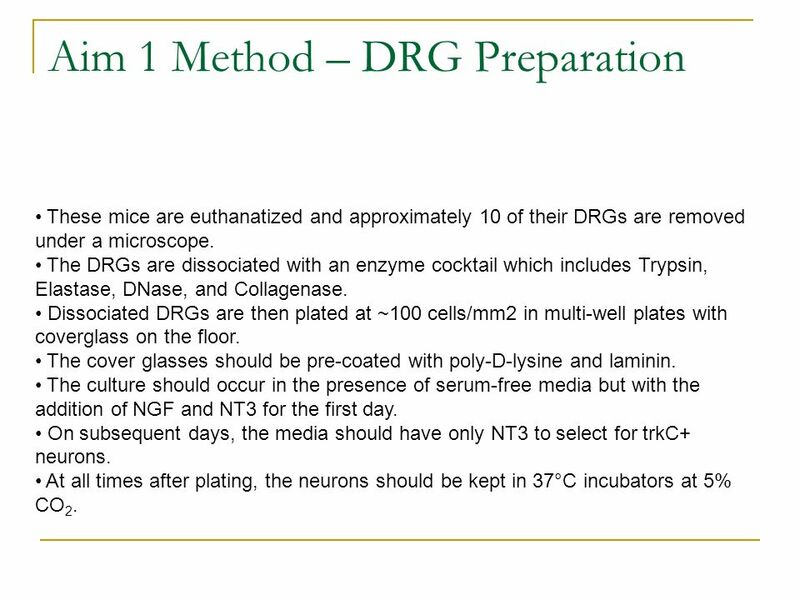 The culture should occur in the presence of serum-free media but with the addition of NGF and NT3 for the first day. 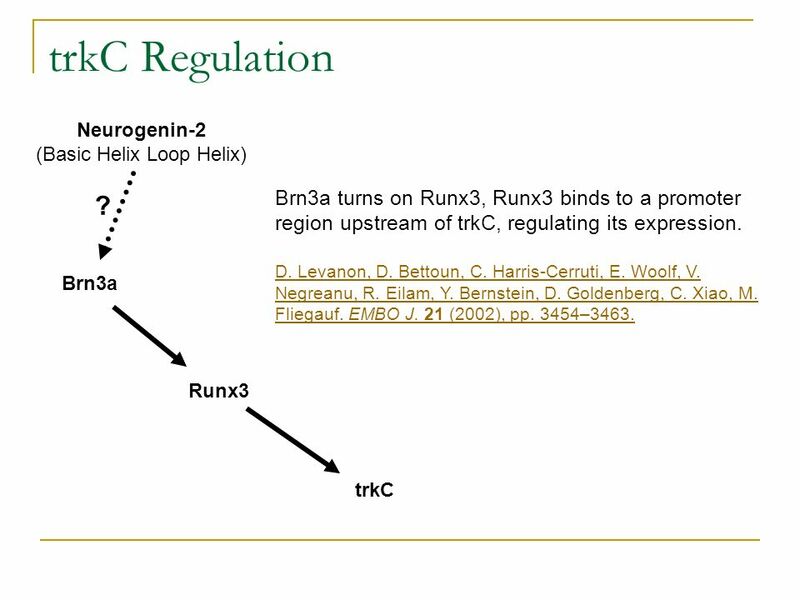 On subsequent days, the media should have only NT3 to select for trkC+ neurons. At all times after plating, the neurons should be kept in 37°C incubators at 5% CO2. 3 e o m y c i n C M V Prepare an expression vector with neomycin resistance. 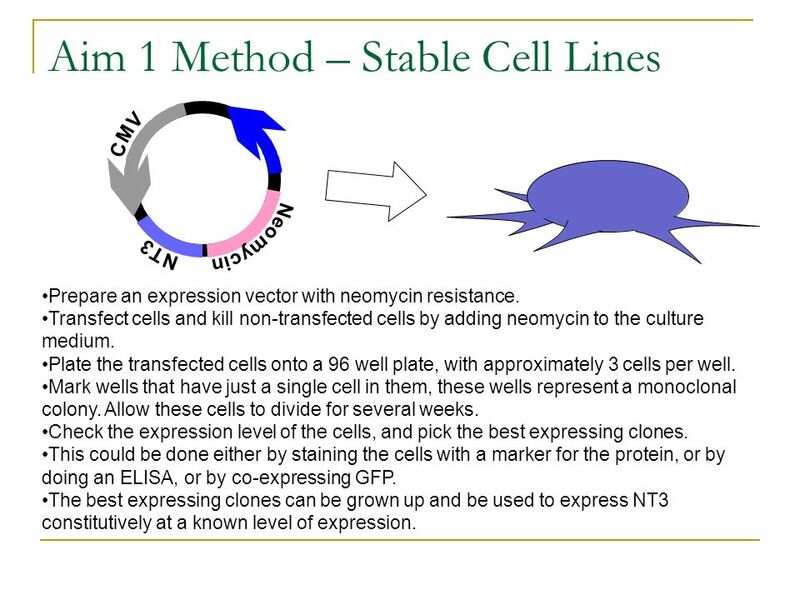 Transfect cells and kill non-transfected cells by adding neomycin to the culture medium. Plate the transfected cells onto a 96 well plate, with approximately 3 cells per well. Mark wells that have just a single cell in them, these wells represent a monoclonal colony. Allow these cells to divide for several weeks. 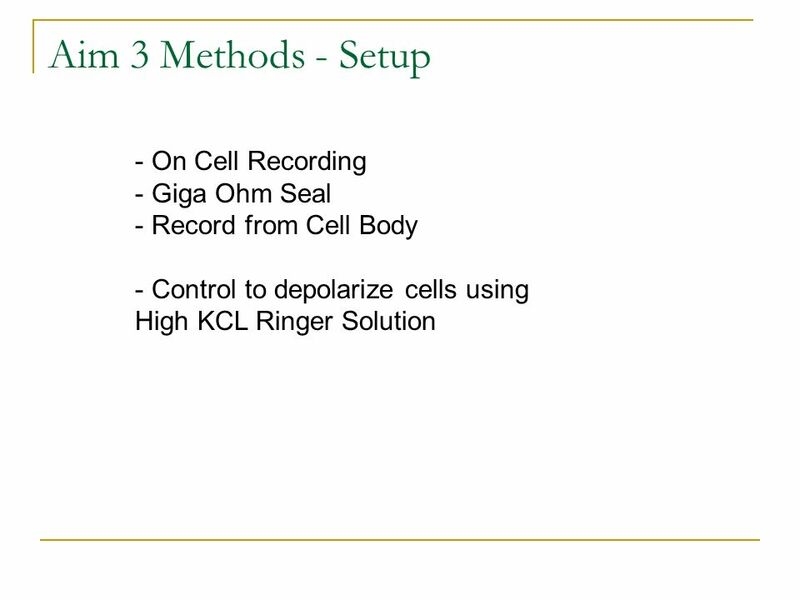 Check the expression level of the cells, and pick the best expressing clones. This could be done either by staining the cells with a marker for the protein, or by doing an ELISA, or by co-expressing GFP. The best expressing clones can be grown up and be used to express NT3 constitutively at a known level of expression. 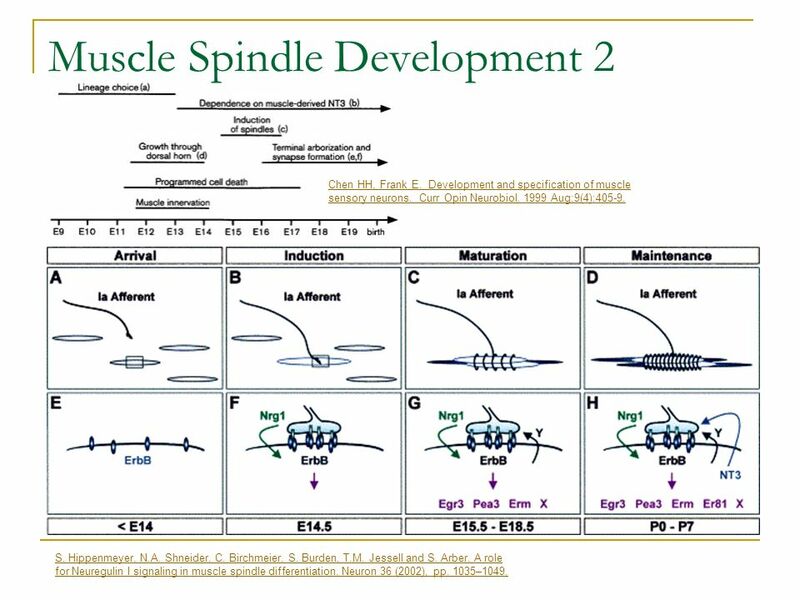 Download ppt "Muscle Spindles in Literature"
Development of Mechanosensation of Muscle Spindle’s Primary Afferents in-vitro William James Buchser. Repair and Regeneration of the Nervous System. What’s Capable of Being Repaired or Regenerated? Whole Neurons Axons Synaptic clefts Neuromuscular junction. The Nervous System. General Nervous System Functions Control of the internal environment –Nervous system works with endocrine system Voluntary control. General Physiology Shaul Hochstein 2. Image of the Brain. 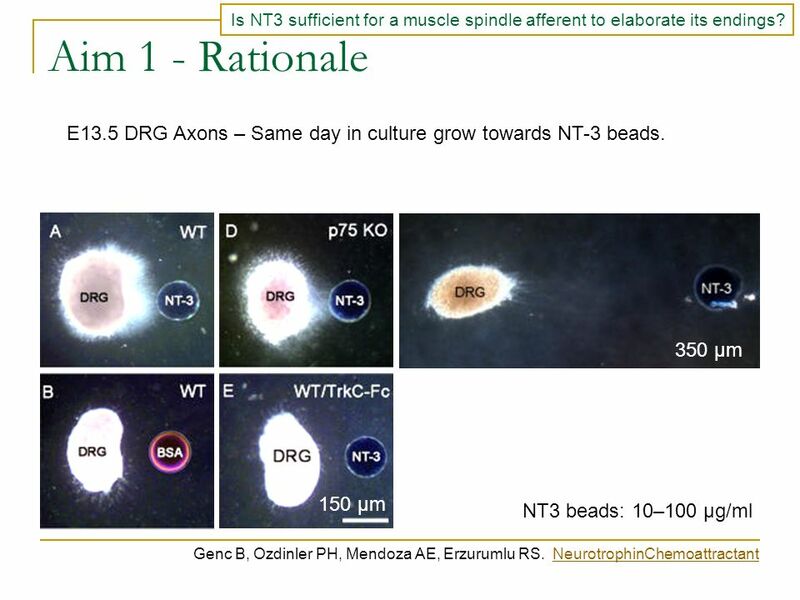 ARMS interacts with  -syntrophin: implications for EphA4 signaling at the neuromuscular synapse Yu CHEN Department of Biochemistry Hong Kong University. 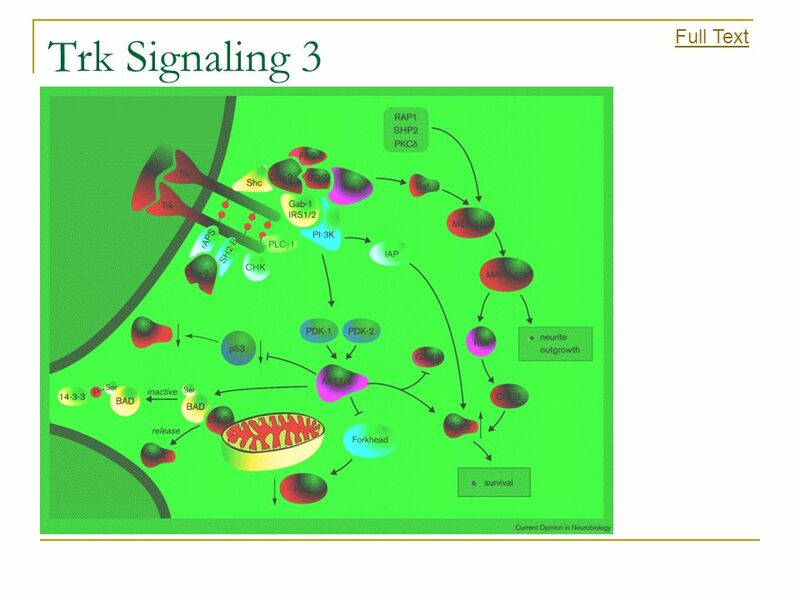 Synapse Formation I April 18, 2007 Mu-ming Poo 1.Steps in the formation of neuromuscular junction 2.Early events of synaptogenesis 3.ACh receptor aggregation. 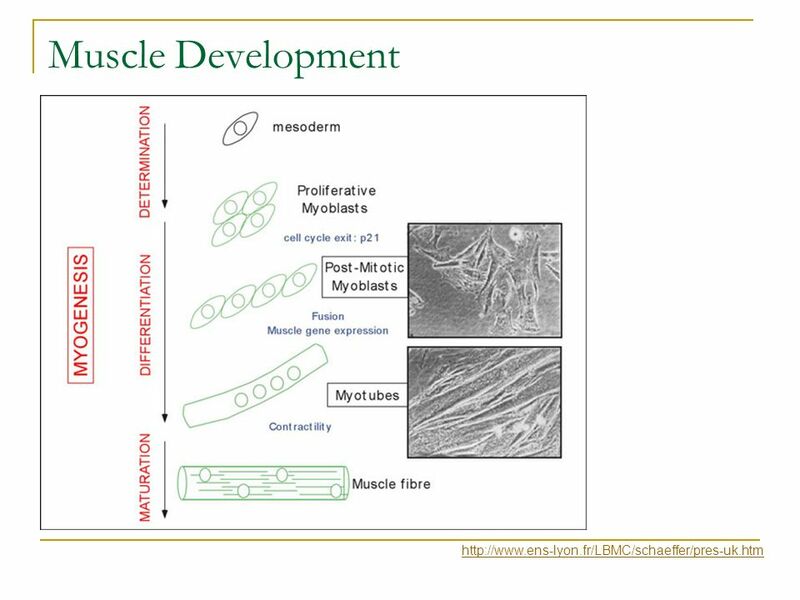 Motor system I: spinal cord circuits and motor output 1.Overview of the motor system 2.Topographic relationship between spinal motor neurons and muscles. 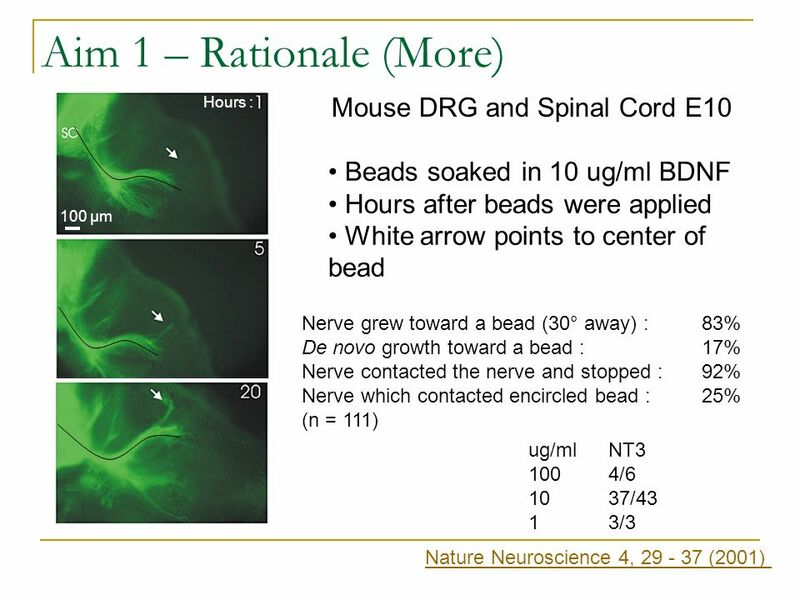 Life and Death for Neurons We lose 20-80% of our neurons during development Most neurons die right around the time that axons are invading the target 1. Chapter Eleven Exam Four Material Chapters 11, 12, &13. Mind, Brain & Behavior Monday January 27, Connections Among Neurons  The growing tip of an axon is called a growth cone.  Lamellipodia – flaps. Mind, Brain & Behavior Monday January 27, 2003. Connections Among Neurons  The growing tip of an axon is called a growth cone.  Lamellipodia – flaps.